Luther is . . . musical. 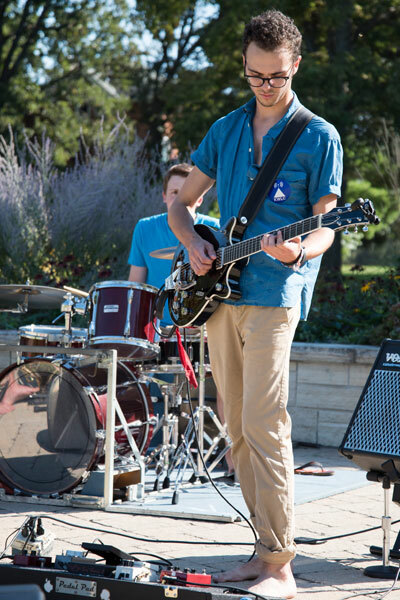 Forty percent of our students make music—and they’re not all music majors. We have six choirs, three bands, three orchestras, two jazz bands, and lots of student-directed groups. Luther’s ensembles tour regionally, nationally, and internationally, and our annual Christmas at Luther performance is broadcast on television and public radio stations throughout the Midwest. Music is just a way of life here. Martin Luther—our namesake—called music “one of God’s greatest gifts to humanity,” and we agree wholeheartedly! This is why, besides making music ourselves, we bring top-tier musicians to campus. Our Center Stage Series has booked A-listers from Sweet Honey in the Rock to Philip Glass. Recently, students have brought in Macklemore, Fun, Nick Jonas, and MKTO.